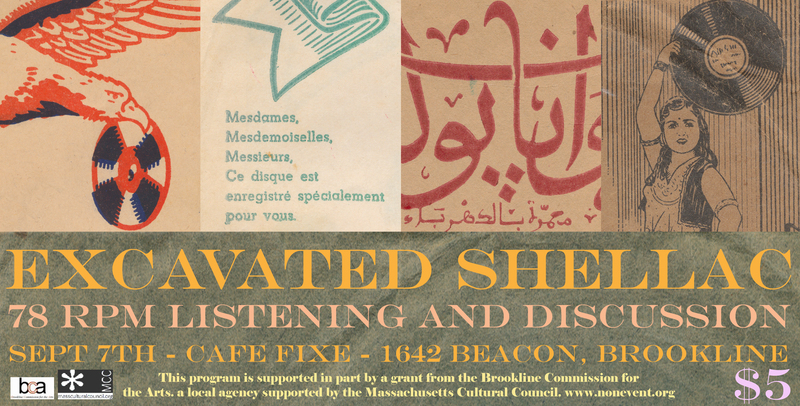 I will be in Brookline at Café Fixe doing a live Excavated Shellac show on September 7th. I’ll be spinning rare music and focusing on local 78 rpm labels across the globe, and how they provided unique, regional music that the majors may have missed. I will also be showcasing some tracks from the upcoming Opika Pende box set. Please come! For more information, you can visit here.